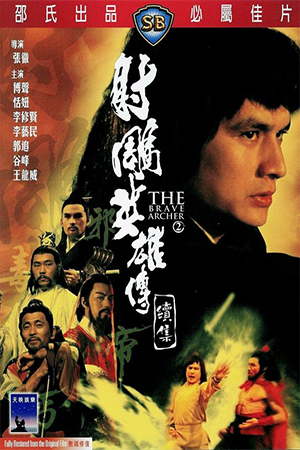 Ever since this movie did the rounds at various film festivals it has caused a tremendous stir, and while some snotty Hong Kong film “buffs” feel it is overrated, I beg to differ and give it the credit it deserves. 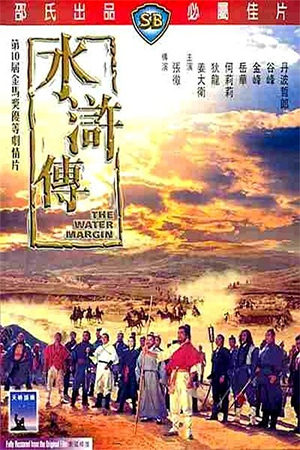 Story wise, it is based on a book Ang Lee read many years ago by Wang Du-lu and is both a love story, fantasy epic and a tale of revenge centred around Chow Yun Fat (Li Mu-bai) as a legendary swordsman and Zhang Ziyi (Jen) as a repressed woman fighting an inevitable arranged marriage, while Yeoh plays a resistance fighter (Yu Shu-lien), a noble woman with a forbidden love for Mu-bai. 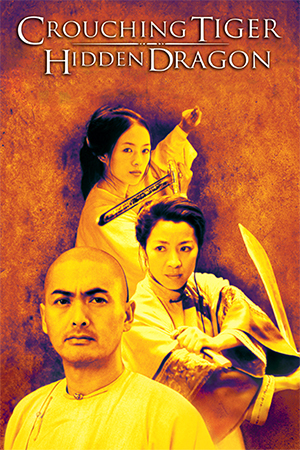 The fights are almost seamlessly integrated and amongst some of the best on offer for a few years even if they are not new by Jade screen standards, and the quality of acting, production and direction are ahead of other Hong Kong films and directors. 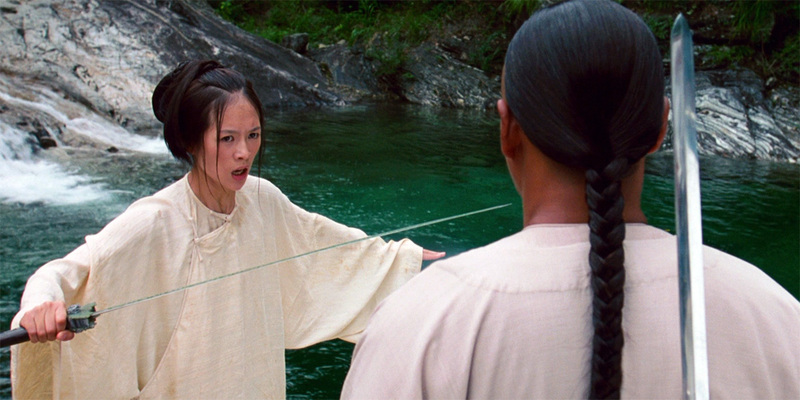 Yes, even Tsui Hark I’m afraid ‘Zu: Warriors From The Magic Mountain’ fans! The story flows smoothly with a slight narrative drag in the middle, but unlike similar films, we are gripped and not just waiting for the next fight. If anything we should all be grateful that people will shut up about ‘The Matrix’ and talk about a “real” Hong Kong film instead. 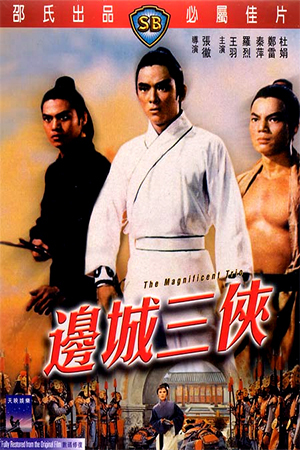 Woo Ping has surpassed ‘The Matrix’ and maybe even ‘Fist of Legend’ which is impressive when you consider that Yun Fat and Yeoh are not classically trained martial artists, even though they each have around 20 years experience in the industry. While the choreography looks impressive, smooth and ‘oh-so-easy’, it is worth noting that after the first fight scene Michelle required knee reconstruction adding another injury to her growing list! 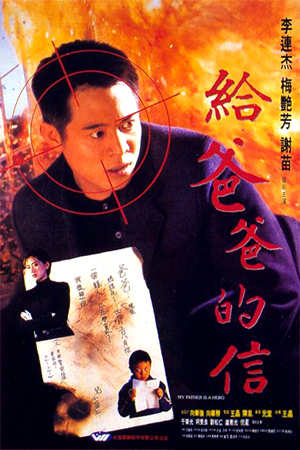 In the long run, I will probably end up watching ‘Drunken Master 2’ and ‘Fist of Legend’ more often, however, we should be eternally grateful that America has accepted, and reacted to, a real Hong Kong film more so than watered down sell outs like ‘Romeo Must Die’ and ‘Rush Hour’. Region 1 & 2 DVD’s are now readily available and selling like hot cakes showing the West that these films are not just for festivals and restricted release, but are for everyone. Hopefully, this may cause Hollywood to give Eastern directors the money and space to make movies their way. I for one would love to see what Sammo could do with lots of time, cash and freedom!